C.K tools, the leading supplier of quality tools for professionals, will be attending the most anticipated event of the electrician’s calendar – ELEX 2012. Showcasing a selection of new, groundbreaking products visitors to stand will be able to see first-hand the quality and durability of C.K tools’ comprehensive range of professional tools. Electricians can get to grips with C.K tools’ first-to-market innovation – the C.K dextroÔ VDE Screwdriver. This exceptional screwdriver has been designed specifically with electricians in mind and optimized for complete control and dexterity. Joining the C.K dextroÔ on stand is the C.K tools Access PliersTM – a pioneering development of traditional combination pliers, benefitting from three revolutionary design features to make electricians’ lives easier; a machine tapered nose for easy access to confined spaces, along with a gutter screw nut holder and a 90 degree pin holder. 76% of electricians say they would buy these in preference to their existing pliers. Keeping its status as the electrician’s brand of choice, C.K tools will also be showcasing its celebrated C.K combicutterTM, which addresses the three key daily electrical installation activities of wire stripping, doubling back solid copper wire and cutting patress screws. Upholding its position as the original and best side cutter available, the C.K combicutterTM has celebrated a market leading position for some time and, unlike recent copies, maintains this status thanks to the unparalleled support from end users. 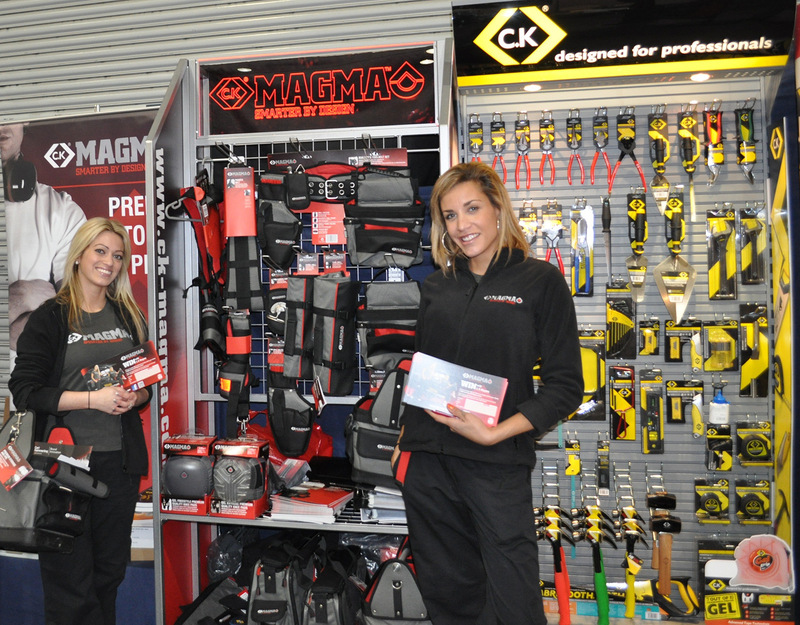 Visitors to ELEX Manchester (21st & 22nd June, stand A16) are in for an additional treat, as a bevy of beauties – the Magma Hit Squad – will be on hand to further promote C.K Magma. They’ll be on stand to hand out freebies, showcase the products and answer any questions – don’t be fooled, these girls have brains as well as beauty, and know their copper wires from their arctic cables! To celebrate the award-winning premium storage brand’s first birthday, the Hit Squad beauties will also be offering visitors to the Manchester show the chance to win £500 worth of C.K Magma goodies and the opportunity to win a visit from the Hit Squad lovelies to their site. 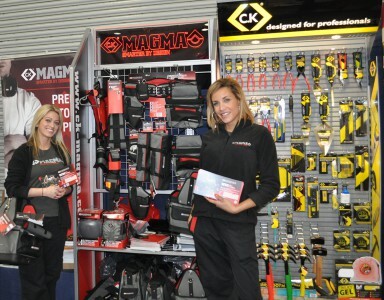 To be in with a chance of winning, simply visit the C.K tools stand (A16), pick up your free C.K Magma dog-tags and register your unique code at www.ck-magma.com/win.